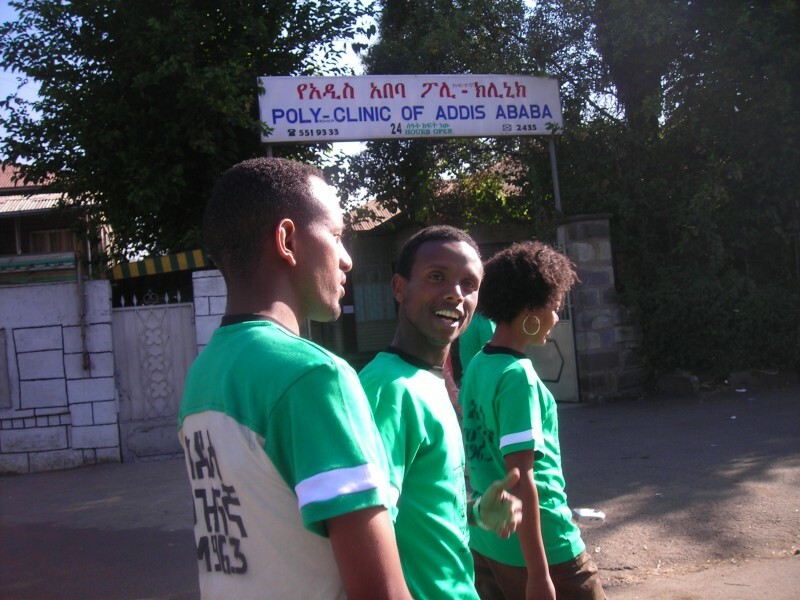 Asmamaw, Befeqadu (middle) and Edom participating in a race organized in Addis Ababa. Photo courtesy of family. In April 2014, nine bloggers and journalists were arrested in Ethiopia. Several of these men and women had worked with Zone9, a collective blog that covered social and political issues in Ethiopia and promoted human rights and government accountability. And four of them were Global Voices authors. In July 2014, they were charged under the country’s Anti-Terrorism Proclamation. They have been behind bars ever since, their trial postponed time and again. This marks the third post in our series – “They Have Names” – that seeks to highlight the individual bloggers who are currently in jail. We wish to humanize them, to tell their particular and peculiar stories. This story comes from Nwachukwu Egbunike, a Nigerian poet, writer, and blogger who has worked with Global Voices since 2011. 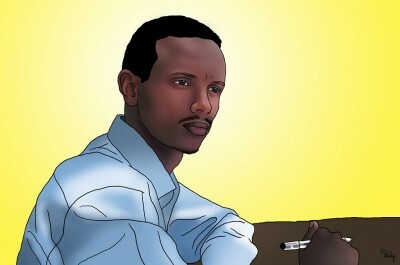 Befeqadu Hailu is an Ethiopian writer who could not quiet his conscience in the face of brutality and human rights violations in his country. For this, he is currently in behind bars. 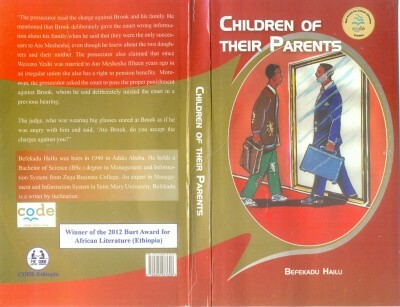 His novel, Children of Their Parents won the 2012 Burt Award for African Literature. He also writes poetry. It seemed only natural that his passion found visible expression in blogging, and that he became a co-founder of the Zone9 bloggers collective. Using the Internet, Befeqadu personified those eternal words of the grandfather of African literature, Chinua Achebe: “an artist, in my understanding of the word, should side with the people against the Emperor that oppresses his or her people.” For doing this, Befequadu was deprived of his freedom. Befeqadu and eight others have been charged with terrorism and incarcerated since April 2014. But the real wrongdoers are his jailers: a repressive government that forbids critical dissent. That is indeed the great crime of Befeqadu and his colleagues. They refused to conform to the norm of silence. This trait is obviously innate in any writer, that compulsion not to keep quiet. The poetry in Befequadu’s veins could not be bottled by state intimidation or stifled with the bars in a jail. The question is intriguing. It sheds light on our innocence, on our refusal to acknowledge whatever crimes our captors suspect us of committing. Yes, they probed us severely, but each session ended with same question. The investigation was not meant to prove or disprove our offenses. It was meant simply to make us plead guilty. No matter what, boundaries exist in this country. People who write about Ethiopia’s political reality will face the threat of incarceration as long as they live here. We believe that everyone who experiences this reality, dreading the consequences of expressing their views, lives in the outer ring of the prison – the nation itself. That is why we call our blog Zone9. Befequadu is in jail because he writes. Let a mighty echo arise, #FreeZone9Bloggers!